Storms can destroy roads, railways, bridges and buildings. 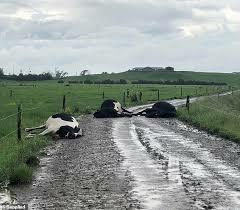 Crops can be ruined and livestock killed. At sea, ships are at risk (the ferry Wahine sank during Cyclone Giselle in 1968, with the loss of 51 lives). Dangers from storms include fallen trees and poles, torn-off roofs, fast-flowing currents in streams and rivers, flying objects, landslides, and flooding. Coastal areas can suffer from storm surges, which are extra-high waves caused by low pressure in the air above the sea that causes the sea-level to rise. * Develop a Household Emergency Plan. Assemble and maintain your Emergency Survival Items for your home as well as a portable getaway kit. * Prepare your property for high winds. Secure large heavy objects or remove any item which can become a deadly or damaging missile. Get your roof checked regularly to make sure it is secure. List items that may need to be secured or moved indoors when strong winds are forecast. * Keep materials at hand for repairing windows, such as tarpaulins, boards and duct tape. 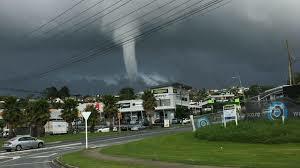 * If you are renovating or building, make sure all work complies with the New Zealand building code which has specific standards to minimise storm damage. * If farming, know which paddocks are safe to move livestock away from floodwaters, landslides and power lines. * Stay informed on weather updates. Listen to your local radio stations as civil defence authorities will be broadcasting the most appropriate advice for your community and situation. * Put your household emergency plan into action and check your getaway kit in case you have to leave in a hurry. * Secure, or move indoors, all items that could get blown about and cause harm in strong winds. * Close windows, external and internal doors. Pull curtains and drapes over unprotected glass areas to prevent injury from shattered or flying glass. 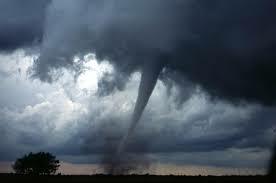 * If the wind becomes destructive, stay away from doors and windows and shelter further inside the house. * Water supplies can be affected so it is a good idea to store drinking water in containers and fill bathtubs and sinks with water. 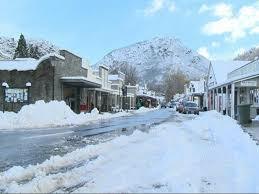 * Don't walk around outside and avoid driving unless absolutely necessary. * Power cuts are possible in severe weather. Unplug small appliances which may be affected by electrical power surges. If power is lost unplug major appliances to reduce the power surge and possible damage when power is restored. * Bring pets inside. Move stock to shelter. If you have to evacuate, take your pets with you. * In a snowstorm, the primary concerns are the potential loss of heat, power and telephone service, and a shortage of supplies if storm conditions continue for more than a day. 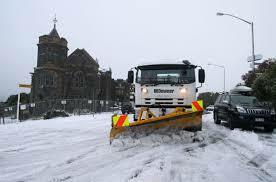 It is important for people living in areas at risk from snowstorms to consider the need for alternative forms of heating and power generation.Avoid leaving home unless absolutely necessary when a snow warning is issued. 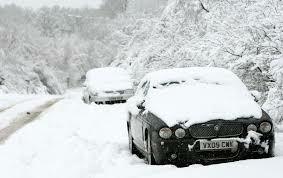 * If you have to travel make sure you are well prepared with snow chains, sleeping bags, warm clothing and essential emergency items. 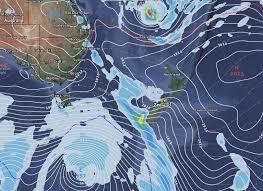 * At home, check fuel supplies for woodburners, gas heaters, barbeques and generators. * Bring pets inside. Move domestic animals and stock to shelter. 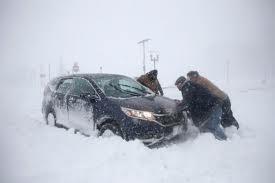 * If you are caught in your car or truck in a snowstorm, stay in your vehicle. Run the engine every ten minutes to keep warm. Drink fluids to avoid dehydration. Open the window a little to avoid carbon monoxide poisoning. * Make yourself visible to rescuers by tying a bright-coloured cloth to your radio aerial or door and keeping the inside light on. 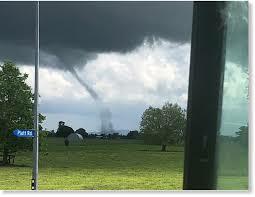 * Tornadoes sometimes occur during thunderstorms in some parts of New Zealand. 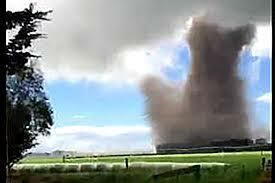 A tornado is a narrow, violently rotating column of air extending downwards to the ground from the base of a thunderstorm. * Warning signs include a long, continuous roar or rumble or a fast approaching cloud of debris which can sometimes be funnel shaped. * Alert others if you can. * Take shelter immediately. A basement offers the greatest safety. 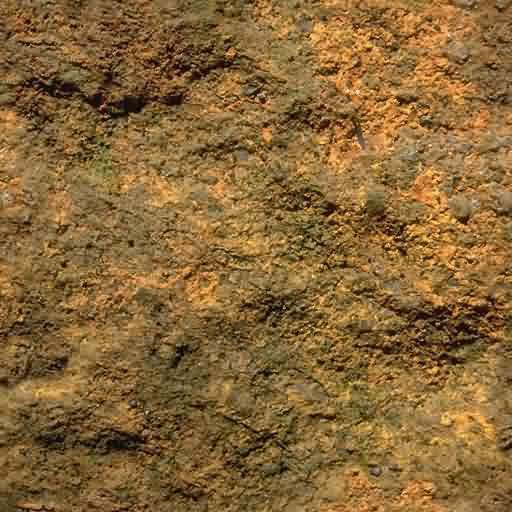 If underground shelter is not available, move to an interior room without windows on the lowest floor. Get under sturdy furniture and cover yourself with a mattress or blanket. * If caught outside, get away from trees if you can. Lie down flat in a nearby gully, ditch or low spot and protect your head. * If in a car, get out immediately and look for a safe place to shelter. * Do not try to outrun a tornado or get under the vehicle for shelter. * Listen to your local radio stations as emergency management officials will be broadcasting the most appropriate advice for your community and situation. * Check for injuries and help others if you can, especially people who require special assistance. * Look for and report broken utility lines to appropriate authorities. * Contact your local council if your house or building has been severely damaged. * If your property or contents are damaged take notes and photographs and contact your insurance company. Inform your landlord if there is damage to the rental property. 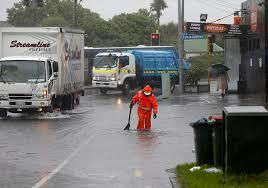 * Ask your council for advice on how to clean up debris safely.